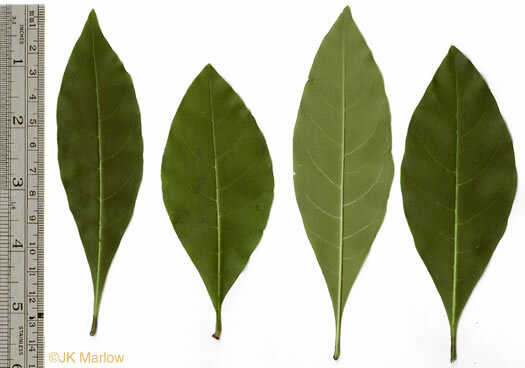 Four sepals, each 1-2mm long, per Vascular Flora of the Carolinas. 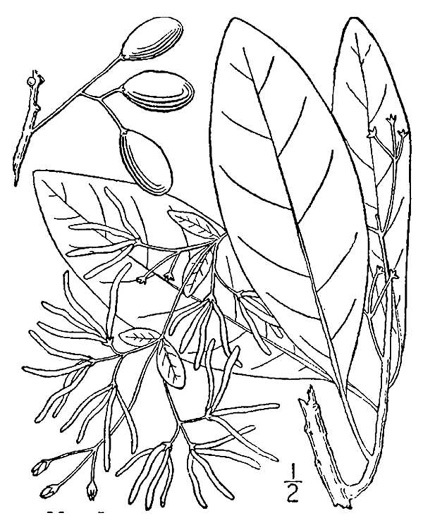 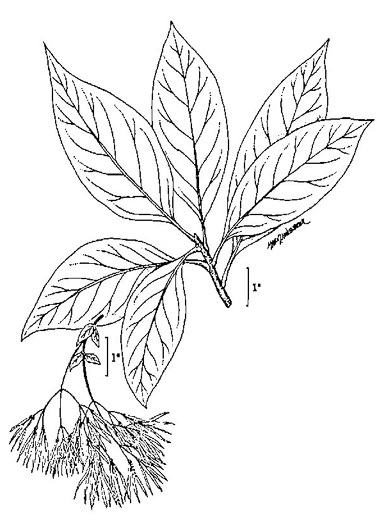 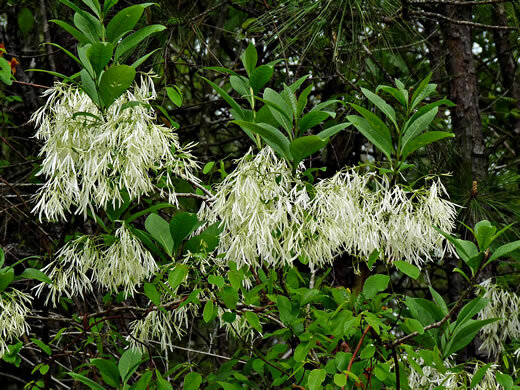 A traditional southern yard plant, often used as a "specimen plant", per Weakley's Flora. 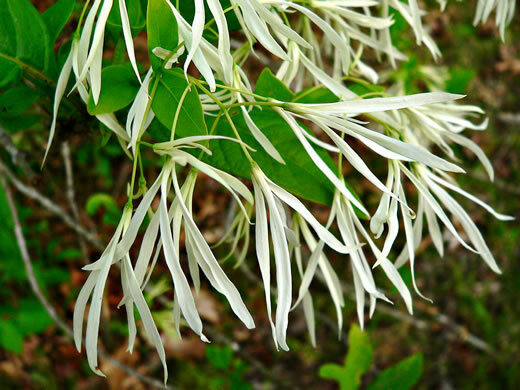 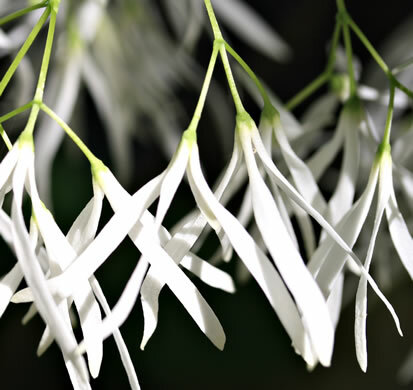 The flowers have unmistakable, creamy-white, 0.75-1.25" strap-shaped petals, per Atlantic Coastal Plain Wildflowers. 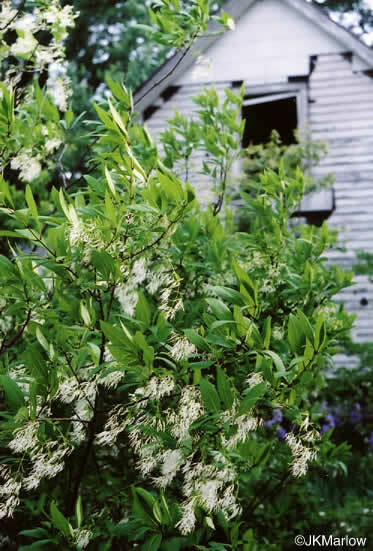 Each panicle w tripartite branching & sometimes pairs of small leafy bracts, per www.illinoiswildflowers.info. 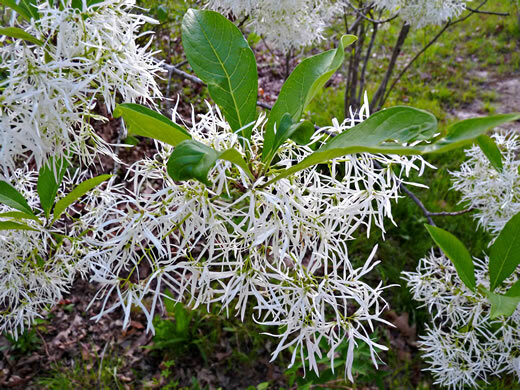 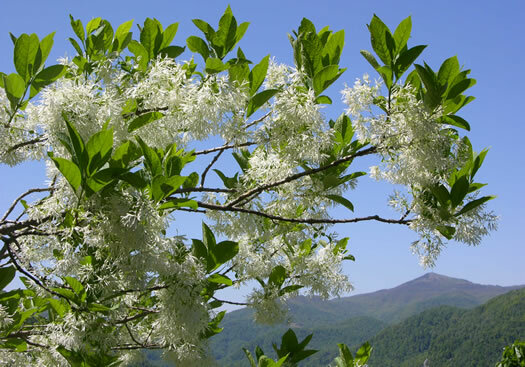 Large drooping clusters of small fragrant flowers with 4 linear white petals, per Wildflowers & Plant Communities of the Southern Appalachian Mountains and Piedmont. 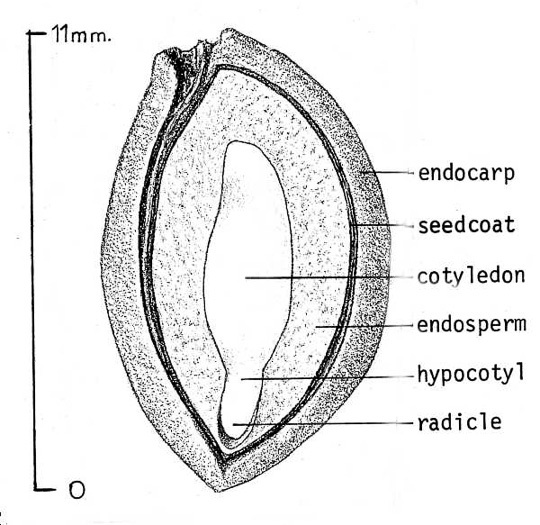 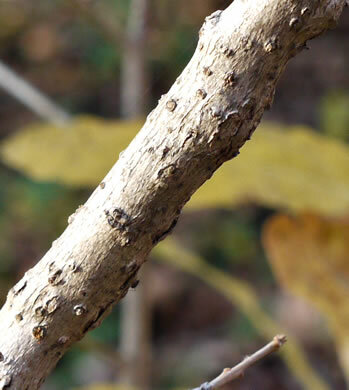 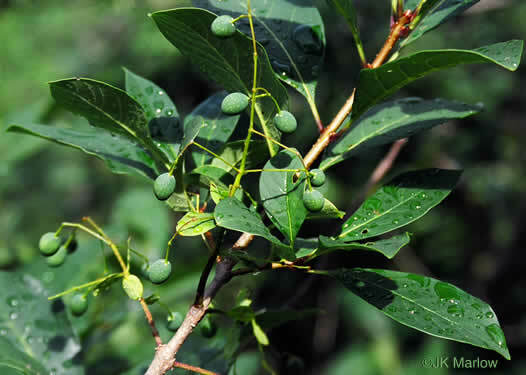 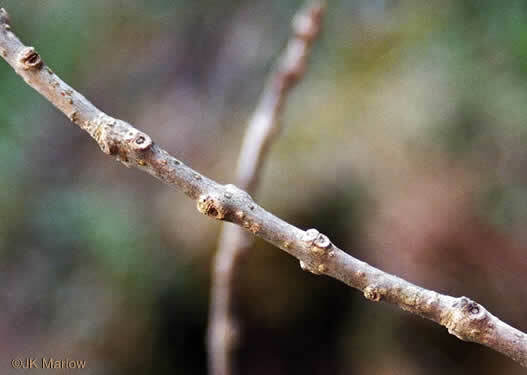 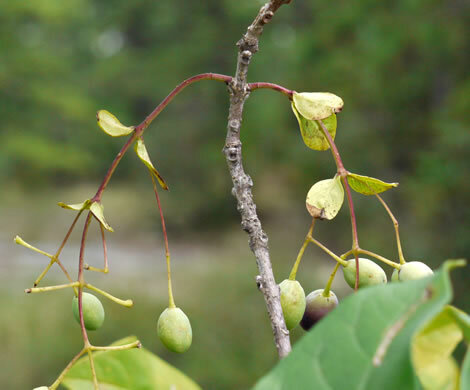 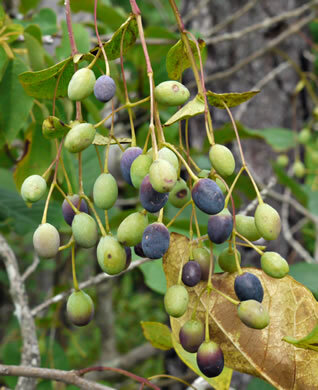 Pistillate plants produce oval, purplish drupes to 2cm long, per Woody Plants of the Southeastern US: A Winter Guide. 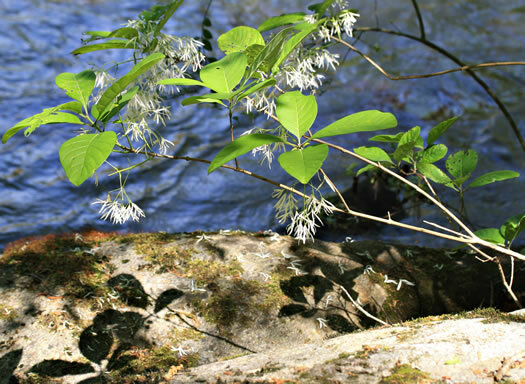 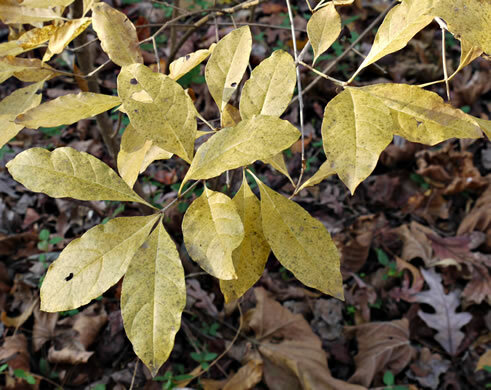 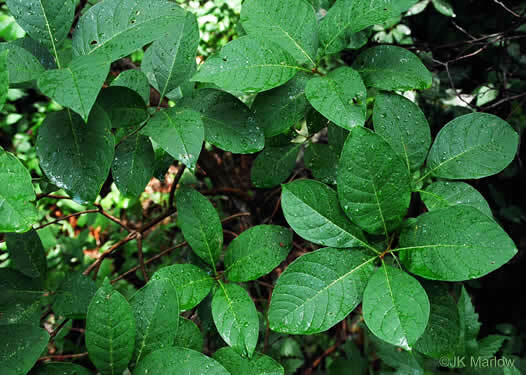 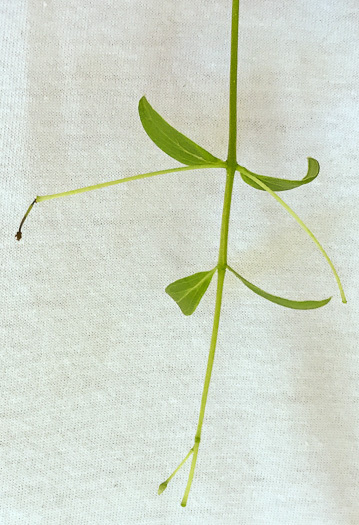 Leaves elliptic or obovate, leaf base cuneate to attenuate, per Vascular Flora of the Carolinas.